My name is Charlie King and I am a Consultant Neurological Physiotherapist and Director of Liberty Physiotherapy. 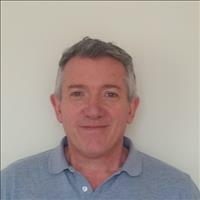 I have been in private practice since 1994 specialising in patients with Neurological disorder, including Stroke, Multiple Sclerosis, Head Injury, Parkinson’s and Spinal Cord Injury as well as other movement disorders associated with Chronic back and neck conditions. I qualified in 1985 from University Hospital of Wales, Cardiff as a Remedial Gymnast and Recreational Therapist and became a Chartered Physiotherapist the same year. I worked at Rotherham District General Hospital for 9 years setting up the Neurological rehabilitation out-patient service. My team and I use a completely different and revolutionary treatment technique called Neuromuscular Energising Therapy (NET) which I founded in 1993 and have taught both nationally and internationally to other professionals. This therapy can be used to treat various neurological and musculoskeletal conditions whether acute or chronic in nature and can open the pathways to aid recovery many years after the initial trauma. It often offers rapid/fast progress which is long lasting.